Generate your birth or natal chart with chartwheel and report with interpretations. Once you've created a natal chart, you can then select a compatibility or relationship report and forecasts. If you've already created charts, they are listed here. If not, create a new chart. Take note of your Profile number and PIN if you want to sign back in after clearing your cache or after moving to a different device. If there are no charts listed above, simply click on Create A New Chart and then return to this page. A PIN will automatically fill in after you create your first chart. Take note of your profile and PIN only if you want to keep these sets of birth data. Chart data is saved in a cookie in your browser. If you clear your cache, this data will be erased. However, if you take note of the Profile and PIN numbers directly below your list of charts, you can log in to that profile with these numbers in order to retrieve the chart data. This is also useful for retrieving stored data on other devices. Please note that chart data is saved for convenience, but we cannot guarantee that it will be stored perpetually. It's always wise to keep data anonymous by using an initial or pet name in the name field. The following are free reports offered by Cafe Astrology. The first option, the Birth Chart, gives you your natal chart, easy-to-read listings of the positions of the planets and houses in your chart, as well as the aspects between planets and points. Interpretations of these positions are provided, many of which are our original interpretations. After reading the report, you might want to explore your natal chart further with our astrology articles and features. 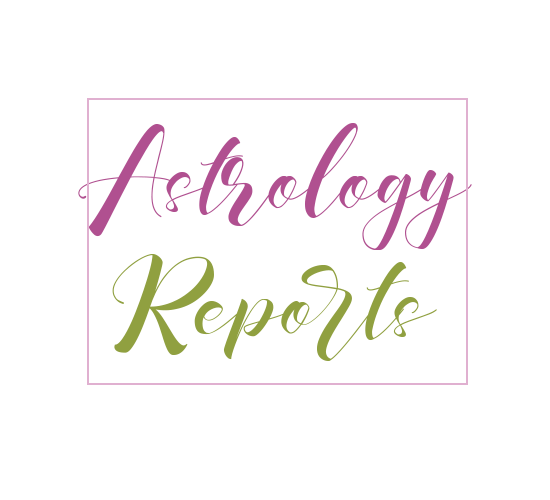 Once you've created a chart, you'll be able to run a horoscope/transits report and/or a compatibility report from the links found at the top and bottom of the birth chart report. Returning to this page, you will find a list of any charts you've created (above), which you can keep or delete at will. There are also report options for unknown birth times below, but if you do know the birth time(s), your reports will include more factors if you select them from the links at the top or bottom of the natal chart report page. Note that if you want to save the birth data, it makes sense to use the regular Create A Chart feature and select Unknown Birth Time. Input your birth data here to get your natal chart, positions of the planets (and more) in the natal chart, and short descriptions of these positions. You probably know your Sun sign. This report will also reveal your Moon sign, Mercury sign, your Ascendant if you know your birth time, and more. Input your date of birth and that of your lover (or potential lover) for a short compatibility report, with interpretations of how your planets interact with each other, as well as scores. *If you know birth times and want a fuller compatibility report, select the Birth Chart option first, create a report, and scroll to the bottom to add a second person. See how the planets' positions today affect your personal natal chart. These horoscopes are based on your date of birth, not just your Sun sign. Birth time not necessary for this report. If you know your birth time, create a Birth Chart first, scroll to the bottom of the report, and then select your transits report. See the planets' influence on your personal natal chart for the next 14 days. Birth time not necessary for this report. If you know your birth time, create a Birth Chart first, scroll to the bottom of the report, and then select your transits report. Get our comprehensive Astrology Reports here. The profiles store birth data for your convenience and are not an official account system as they are not associated with an email address. If you haven't noted down the profile and pin numbers and you see only a new profile number with a blank PIN, you may have cleared cookies or you are on a new device. You simply need to start over by reentering the birth data and you can generate the same free reports--as many as you'd like for each set of chart data--as you did earlier. It's better not to rely on this system to store birth data perpetually as it's currently not designed that way. Since 2002, Cafe Astrology has offered this free report section for people interested in exploring their astrology charts further. Please note that there is no obligation involved with using this service. It's always been free to use and there are no plans to change this! I do ask that you try to keep the saved charts low in number to reduce server load and cost. Doing so will help keep the site operating smoothly. It helps to avoid clicking links and form buttons too quickly. The firewall temporarily blocks bot-like activity, and you're best off when it assumes you're human! In 2015, a save feature was added to this free chart service for users' convenience. This saves you from re-entering birth data each time you want to generate a report for that data. If you'd prefer to avoid the save feature and you'd rather enter the birth data each visit, you might consider accessing the site through an incognito browser or you can delete data at the top of the page (indivdual charts or all at once) at the end of your visit. Note that profiles are not associated with an email address and are thus more anonymous than typical accounts. It is always a good idea to enter a nickname or initial (or nothing) as the name for each new entry. Names do not factor into the astrological interpretations in any manner as they would with numerology reorts. By continuing to use this site, you agree to its use of session cookies. These are in place only for the purpose of saving charts and preferences, and serve no other purpose. In March 2019, I added the option to use the "they" pronoun to the free natal chart report due to readers' suggestions. I am very happy about this addition! I tried my best to incorporate this pronoun properly into the texts, but I have to assume that I made some typos (such as is/has/doesn't when it should be are/have/don't). If you come across specific typos and if you have the time, please let me know at [email protected] For those who want to change their pronoun, I am so sorry but I don't currently have an "edit" option, making it necessary to re-enter your chart. It may be worth noting as well that as I updated the pronouns, I made some minor edits to the surrounding texts. I recently also added a print option for some of the free reports upon a reader's suggestion since the pages were not formatted well for printing. With this option, most any part of the report that you'd prefer not to print or save can be deleted. This also works for downloading the reports as PDFs. The buttons for printing and saving the reports are found near the bottom of the generated report page.